Currently, the mountain gorilla’s habitat is limited to protected national parks in two regions of Africa. 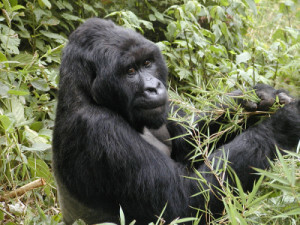 One group of gorillas lives in the Bwindi Impenetrable National Park in Uganda. The other group is spread over three national parks in the Virungas mountain region of the Democratic Republic of Congo, Uganda, and Rwanda. Mountain gorillas are as shy as they are strong. But when threatened, they can be aggressive. They beat their chests and let out angry grunts and roars. Group leaders will charge at the threat. Mothers will fight to the death to protect their young. Mountain gorillas live in groups of up to 30. The group, or troop, is led by a single alpha male, an older silverback. These males are called silverbacks because of the silver stripe they develop on their backs when they mature. The oldest males of the group are at least 12 years old. These troops also include several younger males, adult and juvenile females, and infants. In addition to providing protection to group members, silverbacks maintain order and decide all activities within their troop. 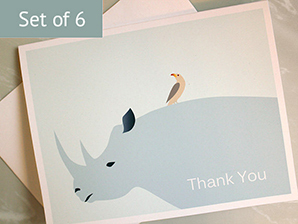 They schedule feeding trips, resting time, and travel. They also father the majority of the young in the group. 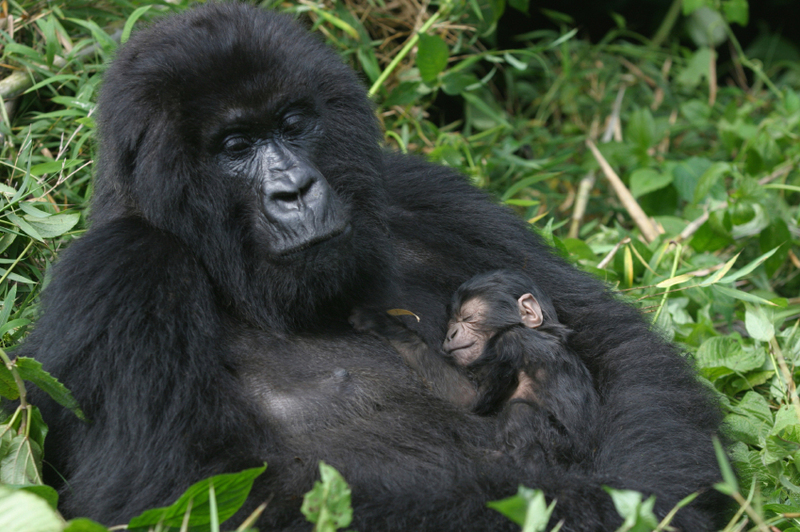 Female mountain gorillas can produce young beginning at age 10. They carry one or two babies at a time and give birth after a 8.5-month gestation period. In general, they will bear between two and six offspring in a lifetime. Fully-grown male mountain gorillas can weigh up to 180 kg (400 lb). Females weigh half that at about 90 kg ( 200 lb). Aside from the silver stripe on their backs, male mountain gorillas are distinguished from females because they have a crest of fur on their heads. Both genders have similar thick black hair covering their body. Their thick hair keeps them warm in cold mountain temperatures. Mountain gorillas are considered critically endangered by IUCN’s Red List. Not only are mountain gorillas threatened by loss of habitat due to human encroachment, they have also become victims of human violence. As civil war rages in Africa, efforts to conserve mountain gorilla populations have been curtailed. Mountain gorillas have also been killed or captured by poachers. Their body parts are sold to collectors, and baby gorillas are sold illegally as pets, research subjects, or private zoo animals. To help, you can make donations to the International Gorilla Conservation Program. You can also support the Gorilla Fund International, set up by conservationist Dian Fossey. 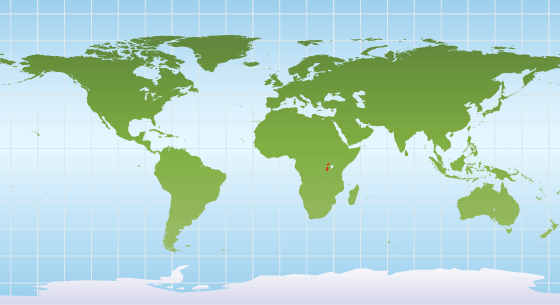 The mountain gorilla’s habitat is limited to protected national parks in two regions of Africa. One group of gorillas lives in the Bwindi Impenetrable National Park in Uganda. The other group is spread over three national parks in the Virungas mountain region of the Democratic Republic of Congo, Uganda, and Rwanda.